A small business in Timaru has been fined $10,000 for failing to follow correct asbestos removal procedures. This error of judgement stems from a failure to test the building for asbestos prior to demolition. This case highlights the importance of having an asbestos survey undertaken by a competent person and implementing an asbestos management plan. WorkSafe are reminding businesses and property owners that a negligent approach to removing asbestos not only puts you at risk but also those around you. This message comes after Topham Holding Limited was recently sentenced in the Timaru District Court. During the demolition of an old chicken shed in 2016, Topham Holding’s sole Director removed sheeting which contained asbestos, without first engaging a competent person to ensure the asbestos was removed. The director had ignored advice from WorkSafe a year earlier that the building was likely to contain asbestos and needed to be surveyed, and proceeded to carry out the demolition regardless. “No one is exempt from managing the risk of asbestos appropriately. Asbestos management is not a job for a layperson – it is a job for a competent and trained professional. It’s not just about keeping you safe and healthy – but those are you as well”. Topman Holding Limited was sentenced under the Health and Safety at Work (Asbestos) Regulations 2016, as the company was a PCBU with management or control of a workplace or of a structure and yet failed to ensure as far as reasonably practicable that the asbestos was removed before demolition – a requirement under these regulations. TriEx can assist you in ensuring you’re meeting your obligations under the Health and Safety at Work (Asbestos) Regulations 2016. Call us on 0800 4 TriEx (0800 487 439) or email enquiries@triex.co.nz. Our latest Training Calendar is out today, which includes upcoming training dates for December, January & February. In this issue, we bring you our new Workplace First Aid Lifesaver specials. These are exactly the same as regular Workplace First Aid courses, just at a lower price of $99 rather than $154. With plenty of disruption coming up with the Christmas shut down period, we have plenty of these courses to take advantage of. To book a Lifesaver special, click here. Our Psychological First Aid course continues, with 4 dates coming up; one in December and January and two in February. You can learn more about this course and book here. We also have both the British Occupational Hygiene Society (BOHS) courses coming up in January and February. These are the 4-day BOHS IP402 course: Surveying and Sampling Strategies for Asbestos in Building, and the 5-day BOHS IP405 course: Management of Asbestos in Buildings. The IP402 course is ideal for those who want to qualify as an asbestos building surveyor and will provide a range of theory and practical knowledge, and the IP405 course is perfect for those who manage a building or estate, which may contain asbestos. When businesses select a supplier to fulfil their asbestos inspection needs, they need to be assured and confident that the Inspection Body can supply a technically competent, effective service with consistently reliable results. 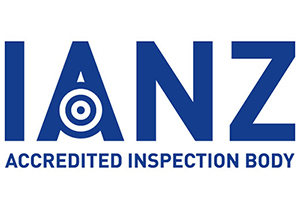 Assurance of this can be achieved with accreditation and TriEx have successfully gained IANZ accreditation to ISO 17020 for Surveying and Sampling for Asbestos. This allows TriEx, as an asbestos inspection body, to benchmark its work practices against the world’s best practices. This internationally recognized standard evaluates the technical competence of TriEx performing inspection activities and for the impartiality and consistency of our inspection activities. Our dedication and focus on quality and technical accuracy is the foreground of everything we do, We are dedicated to delivering practical cost effective work place solutions and impartial advice. With your asbestos management in our hands you can focus on your core business interests, confident in the knowledge that you are compliant with your legal obligations and providing a safe built environment for your employee’s and clientele. Our Asbestos team is lead by our asbestos manager and is supported by our team of experienced surveyors. The team are highly trained and all hold the BOHS IP402 – Surveying and Sampling for Asbestos Qualification, ensuring the results and recommendations in our technical reports are of the highest quality and integrity. If you would like to learn more about our Asbestos services please contact us on enquiries@triex.co.nz or call us on 0800 4 TRIEX (0800 487 439). Our November Newsletter is out now, and this week it is Melanoma Awareness Week. We’re heading into summer so it’s important to keep in mind the risks associated with sun exposure. We’ve got some tips to stay sun smart, and to keep yourself aware of Melanoma. We’ve got a lot of discounted First Aid courses coming up. December, January and February bring with them a lot of disruption for most businesses, so we’re running some $99 TrainMe First Aid Specials. Click the link below to see what dates we have available. We’ve run two Psychological First Aid courses since our launch during Mental Health Awareness week, and the feedback we’ve received has been fantastic. We recently received a glowing testimonial which is worth a read if you’ve been considering this course. A recent report released by WorkSafe has shown that the Canterbury Rebuild Programme has met all it’s short and medium term health & safety goals, including zero fatalities since 2013. You can read the full report from the newsletter link below. TriEx Health, Safety & Wellness Ltd have international accreditation from the British Occupational Hygiene Society (BOHS), to deliver internationally recognised asbestos surveying, and asbestos management qualifications throughout New Zealand. BOHS asbestos qualifications are currently the only asbestos surveying and management qualifications available in New Zealand. We offer two BOHS Courses: the IP402 – Surveying & Sampling Strategies for Asbestos in Buildings, and the IP405 – Management of Asbestos in Buildings. The IP402 – Surveying & Sampling Strategies for Asbestos in Buildings course provides a range of theory and practical knowledge for those wishing to qualify as an asbestos building surveyor, and undertake asbestos surveys. Candidates will receive training in the nature of asbestos and its associated health effects and a detailed review of the various products that contain asbestos. The course will cover the theory and practical aspects of planning and undertaking asbestos surveys in buildings of various types, the safe and representative sampling of all types of asbestos materials. Delegates will be trained to produce reports in incorporating material and priority risk assessments and make appropriate remedial recommendations to their clients. The IP405 – Management of Asbestos in Buildings course is designed to offer candidates the practical knowledge and skills to be able to manage asbestos in buildings and give a knowledge base to audit asbestos removal projects. The course is particularly useful for those that are responsible for managing asbestos in a building or property, and who have no real experience within the asbestos industry. The course covers the basics of surveying of buildings for the presence of asbestos, bulk sampling and general guidance on management procedures necessary to minimise exposure to identified asbestos. In addition to classroom based tutorials, delegates undergo practical assessments and role playing which helps combine all aspects of the course and helps give the candidate an overview of the situations that they may experience on site. Click here to read more and to book your spot, or contact TriEx on 0800 4 TRIEX (0800 487 439). Are you ready for April 4 2018? The asbestos management plan identifies the risks posed by the asbestos present in your property and sets out procedures to control them. It is a regulatory requirement under regulation 13 of the ‘Health & Safety at Work (asbestos) Regulations 2016’, that utilizes the data accumulated from asbestos surveys to manage asbestos risk. The arrangements within the plan should be reviewed periodically. If you are unsure of where your company stands regarding compliance, you can opt for a desktop study that will clearly identify any gaps, if they exist, and offer a step-by-step guide to compliance. With a comprehensive understanding of your needs, we will produce a tailored asbestos management plan and implement your own policies that will help you to manage the asbestos within your premises compliantly, proportionately to the risk and in accordance with current regulations. In addition, we offer an implementation meeting to aid the initial setup of the processes involved in the management of asbestos materials. We also offer reviews of your management plan on a six-monthly basis to ensure your on-going compliance with legislation. Our November & December Training Calendar is out today. Our new Psychological First Aid course launched last month during Mental Health Awareness week. We’re running 3 courses currently, two in November and one in December for you to choose from. This course is about Mental Health Awareness, Response & Support, and is a 4 hour course designed to help prepare learners to respond to a person who may be experiencing emotional distress in the workplace. You can learn more about this course and book here. November has a short week with Canterbury Show Day on the 17th, so we’ve scheduled two Workplace First Aid TrainMe Specials during both of those weeks. These courses are at a discounted price of $99, a saving of $55. We have two British Occupational Hygiene Society (BOHS) courses coming up in November and December. These are the 4-day BOHS IP402 course: Surveying and Sampling Strategies for Asbestos in Building, and the 5-day BOHS IP405 course: Management of Asbestos in Buildings. The IP402 course is ideal for those who want to qualify as an asbestos building surveyor and will provide a range of theory and practical knowledge. We also have two regular Asbestos courses; an Asbestos Awareness for Tradespersons course in November & December, plus an Asbestos Awareness for Managers course in early November.